On 9/17/17 I hit The Big 4-0. 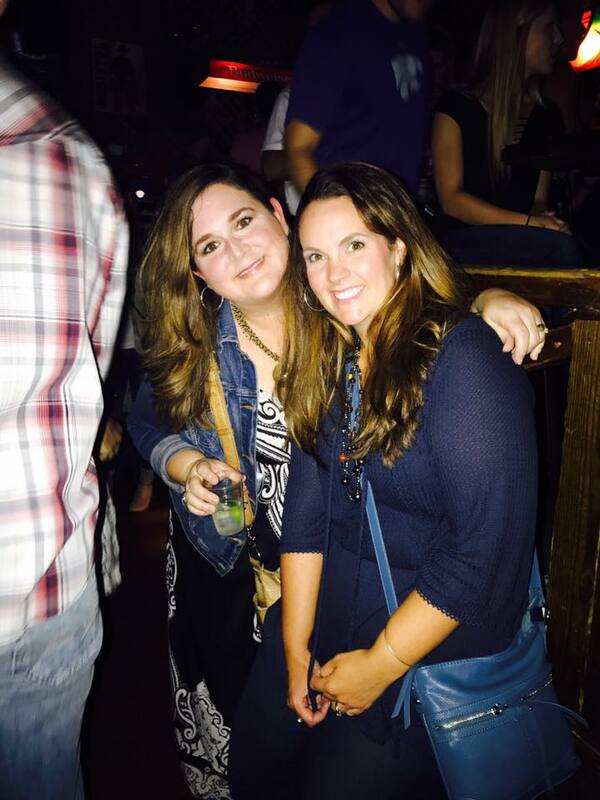 To celebrate this momentous occasion, I decided to take a girl’s trip to Franklin, TN. I have always loved visiting Franklin and could not think of a better place to take my BFFs from around the country. We stayed in THE cutest cottage that was absolutely perfect for the six of us. 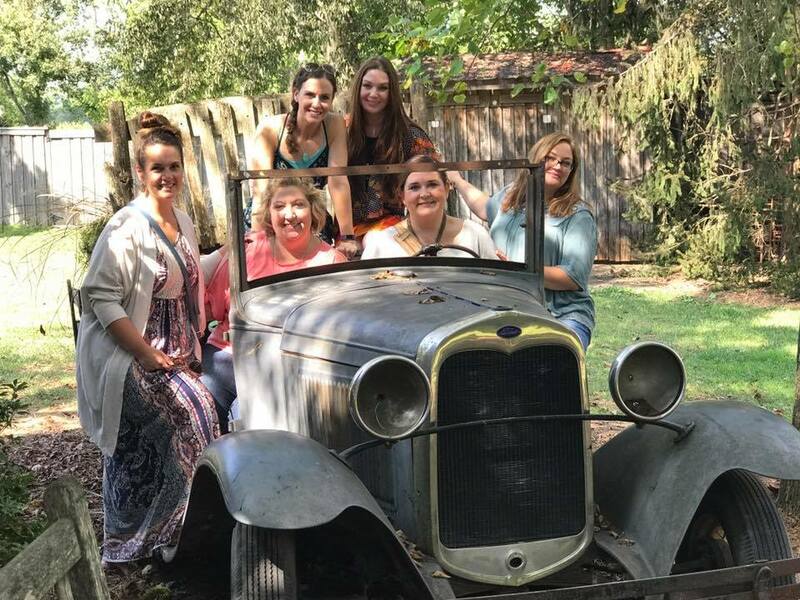 If you’ve been searching for the best place in the Southeast to take a girls’ trip, Franklin is at the tippy top of my list, and Scarlett Scales cottage is definitely part of the reason why! 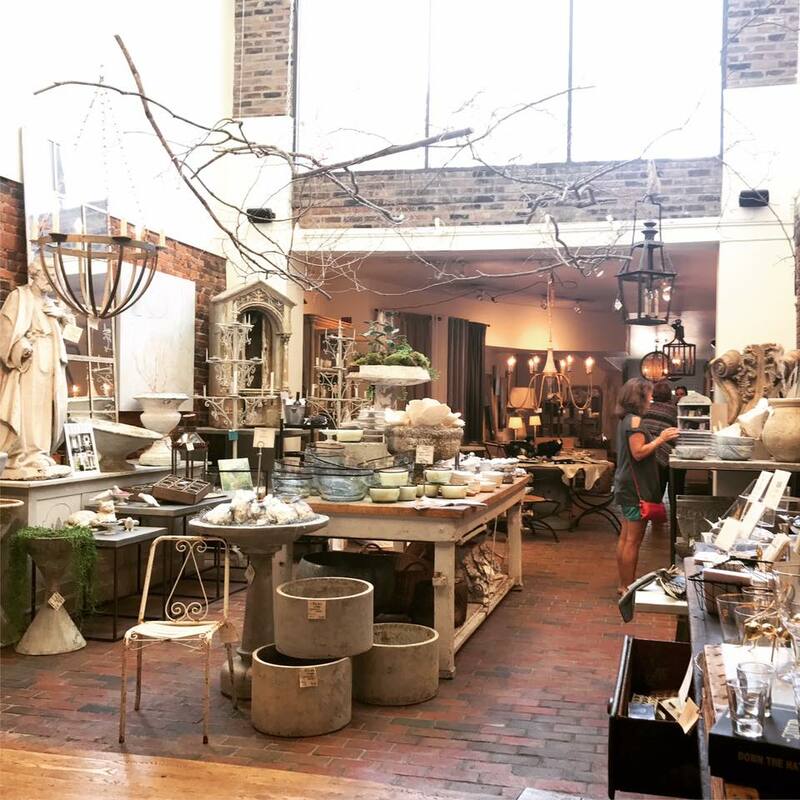 I met Scarlett a few years ago, and instantly fell in love with her antique store. 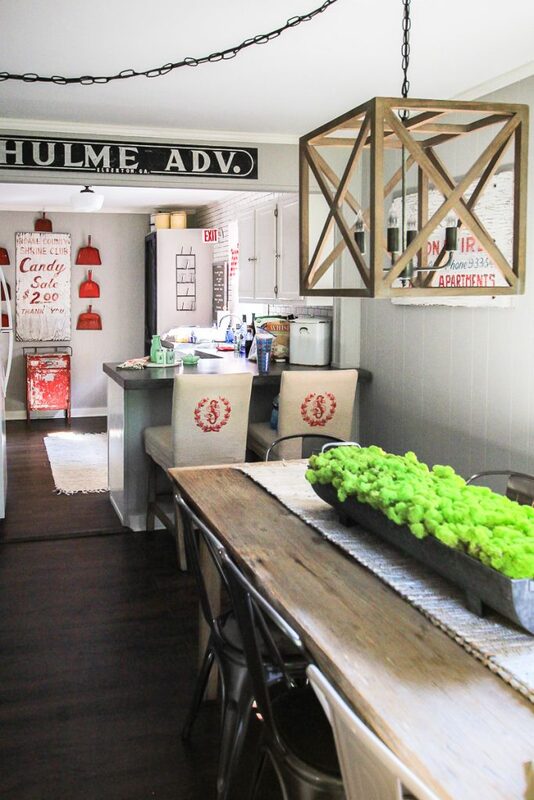 When I heard she had renovated a cottage and turned it into a rental home, I was ecstatic. I KNEW it would be an amazing place to spend a weekend with friends, and I was 100% correct about that. From the minute we pulled up, it was so warm and welcoming. 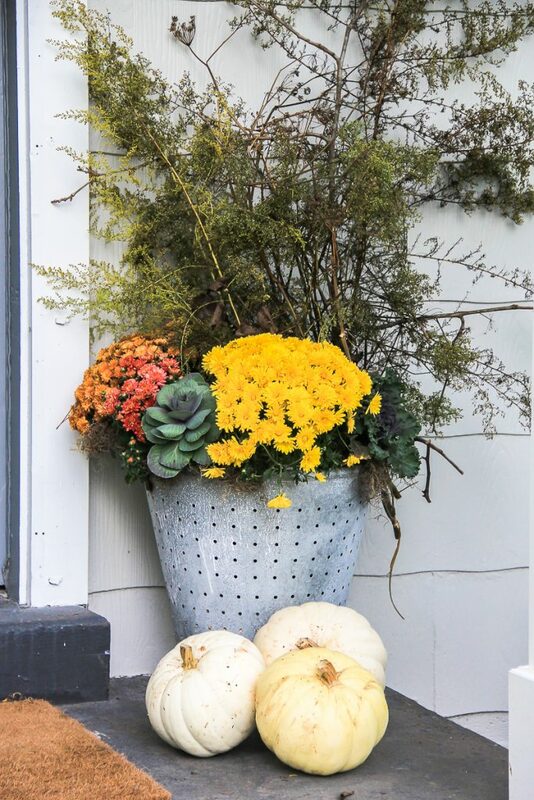 There were even pumpkins and mums on the porch! It’s little touches like these that make you feel extra special when you pull into a rental property, amiright? 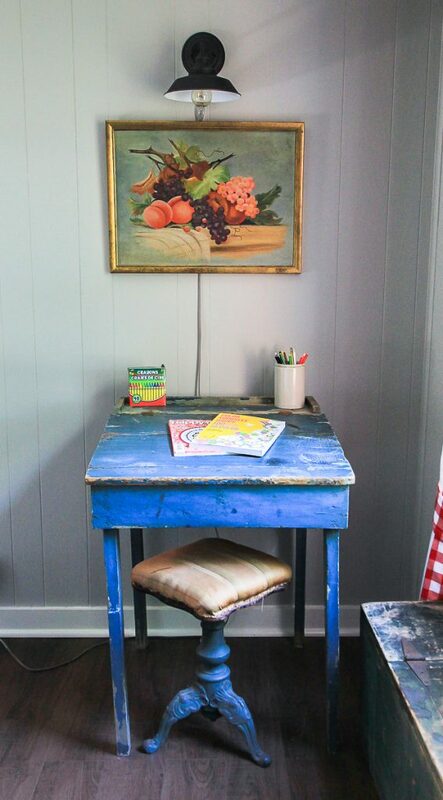 But once we stepped inside, we were blown away by all the amazing decor in this cottage. The first thing I saw as I walked through the door was this beautiful Mora Swedish clock, which made me feel right at home since the first thing you see when you step through MY front door is… a Mora Swedish clock! 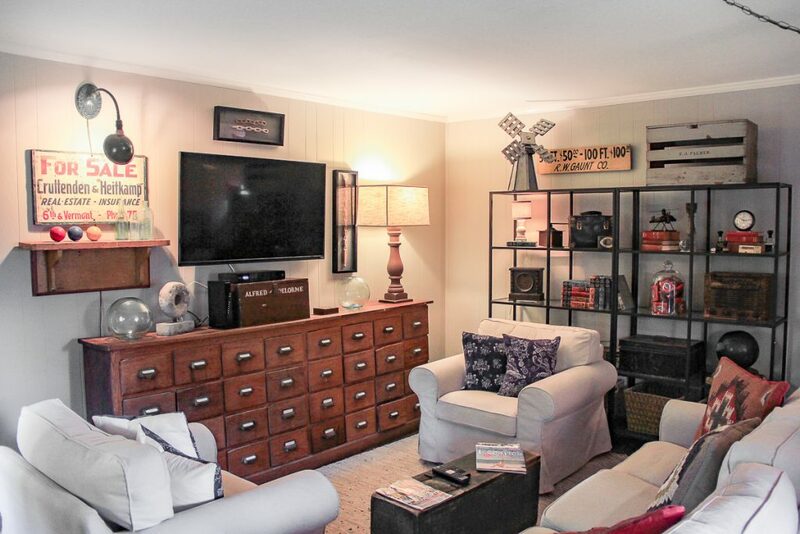 This room has the perfect vibe of eclectic vintage furnishings. 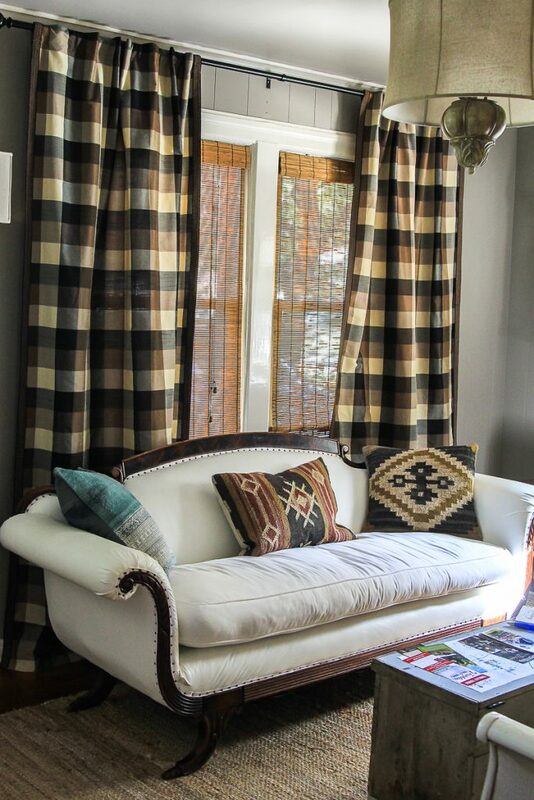 I love the two parlor sofas and the dark plaid curtains. From here you step into a hallway which leads to the kitchen on the left. 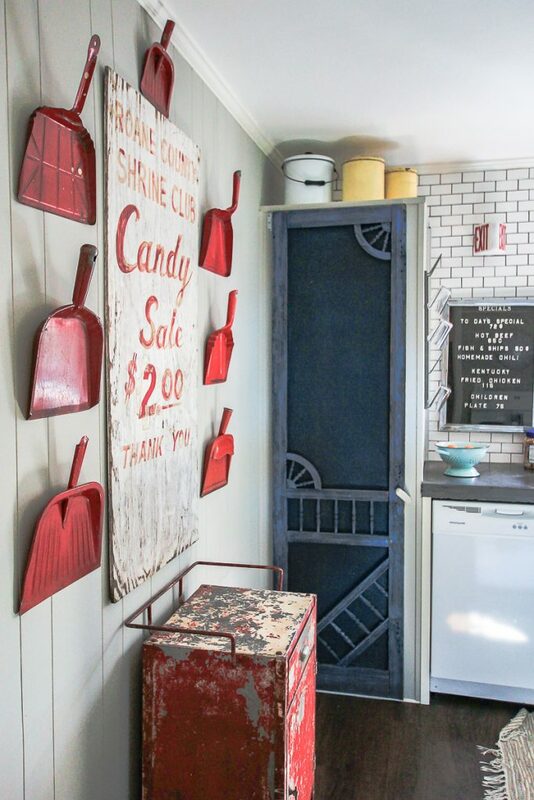 Look at this CUTE collection of red dust pans an the pantry door. I need all of this in my life. 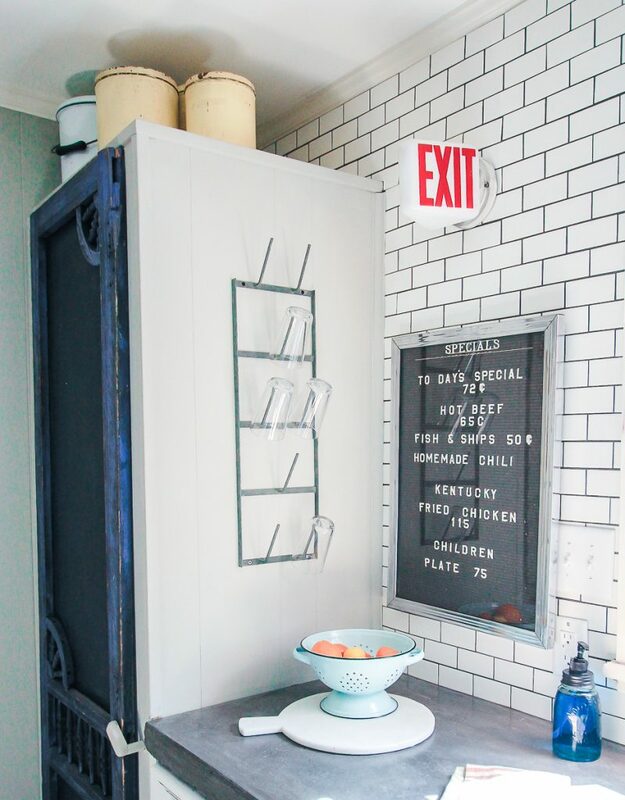 That letter board on subway tile? I swooned. 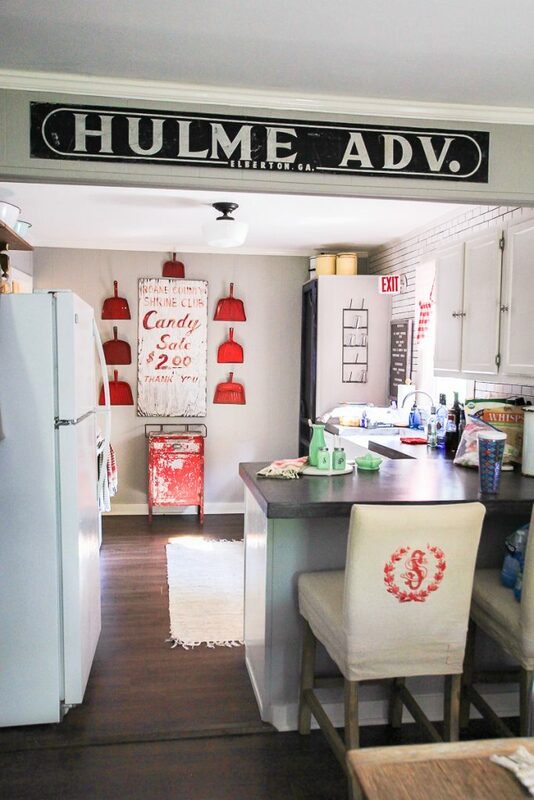 This kitchen is what my little lake cabin kitchen wishes it could be. Actually this entire HOUSE is what my little lake cabin would liked to have been. 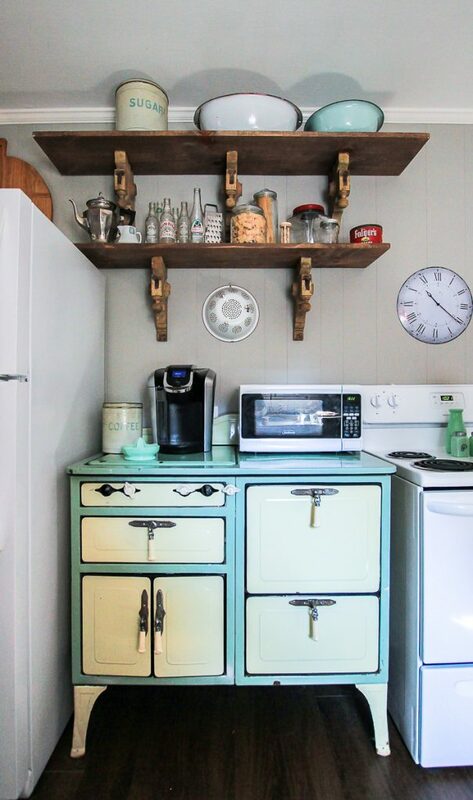 Check out this vintage stove! It was just for show and not for cooking, but it was in spectacular condition. The kitchen is separated from the large dining room table by a breakfast bar. Don’t you love how she has her logo embroidered on the backs of the chairs?? This table was massive, and we easily sat 6 of us around it for breakfast each morning. It was the perfect spot for gathering. On the other side of this room sat THE most beautiful apothecary cabinet. 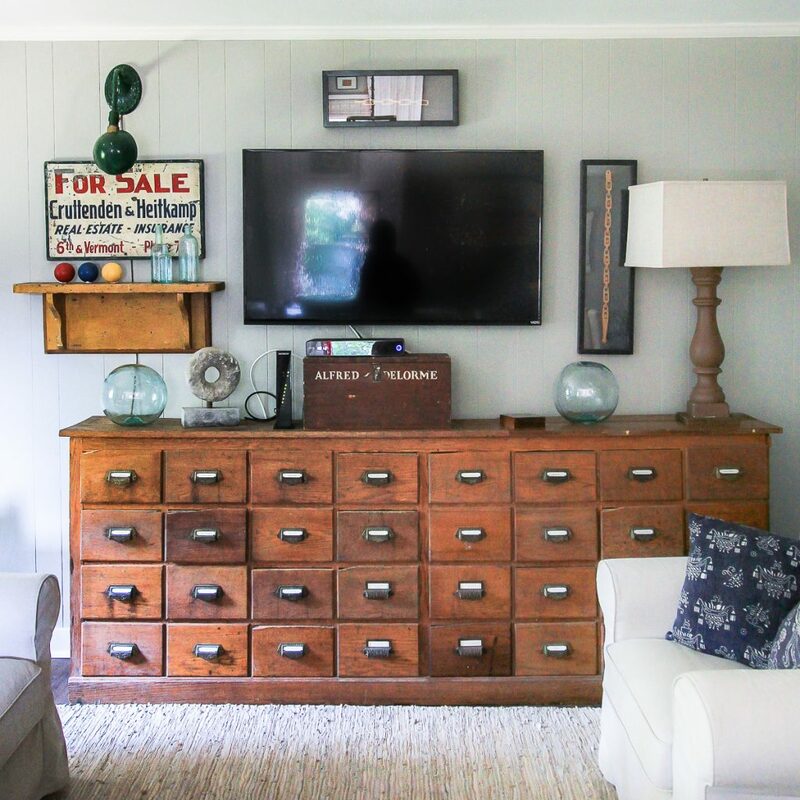 As a side note- I had blogged about this exact same cabinet from another post about a girls trip to Franklin when we visited Scarlett’s Antique store! Remember that time we sat in Larry Gatlin’s lap? Yeah, that trip. See if you can spot it in this post. Scarlett’s eye for vintage design is on POINT, y’all. 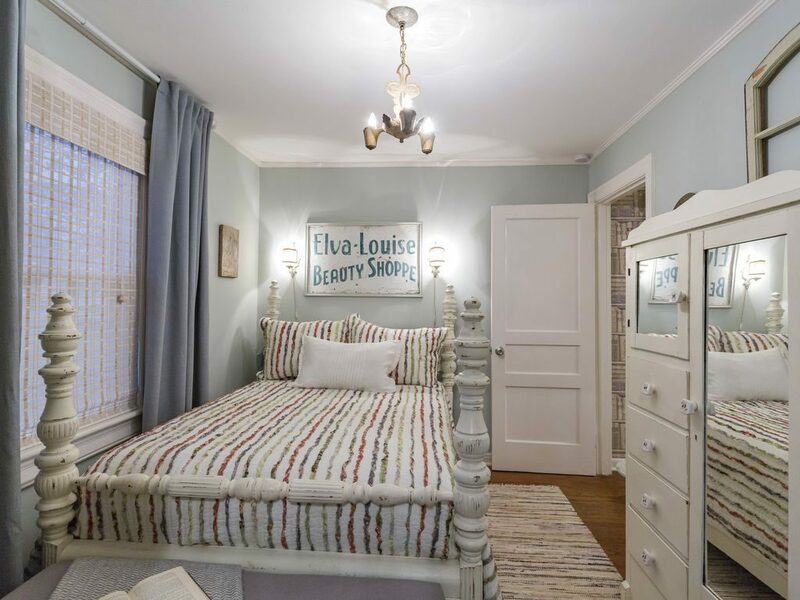 This girl can weave a tapestry of layers and fabrics and patterns into a room like nobody’s business. She is SUPER talented. 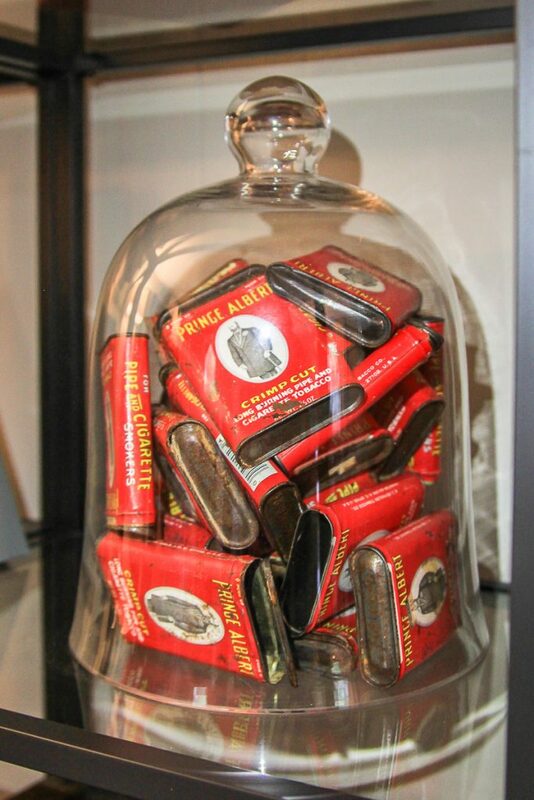 Even the small details, like this cloche filled with Prince Albert pipe tobacco cans. My great-granny Blount dipped snuff until she was 102 years old and guess what was her favorite brand? Yep–Prince Albert. I can smell it in my memories just from looking at these red cans. 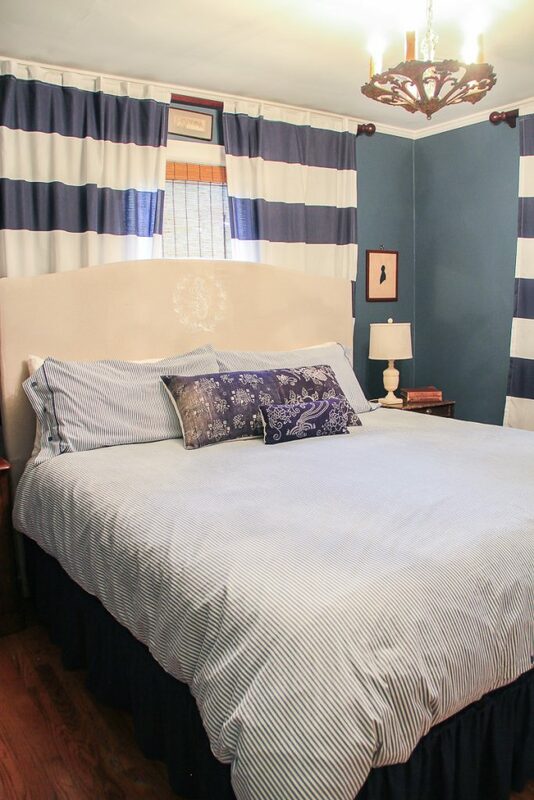 This room was the perfect spot for all of us to lounge around, drink a little bit and watch Outlander in our pajamas. I had to hotwire my laptop to show on the big tv screen (using the HDMI cable from the cable box) and play it on Amazon Prime, but it worked great! Jamie Fraser is always a welcome addition to our girl’s trips. There were three bedrooms in the cottage. The front room had a king size bed that I shared with Dusty. 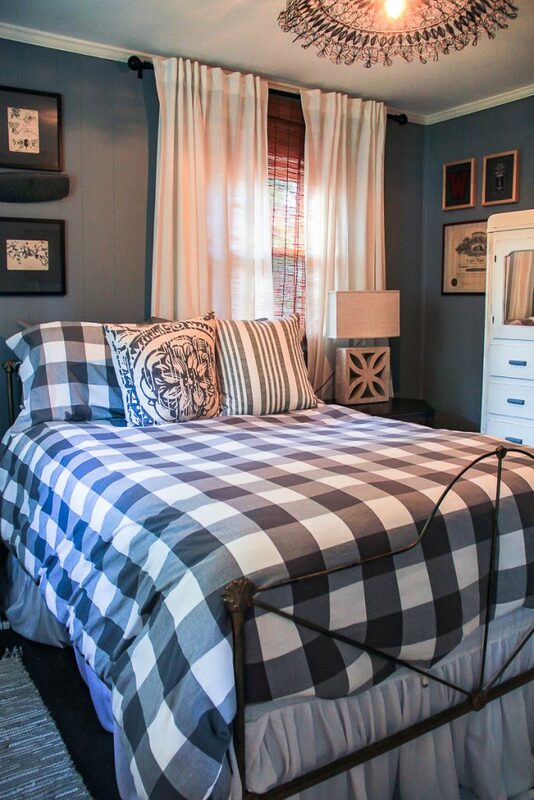 And the back bedroom had a rustic vibe that was super comfy. 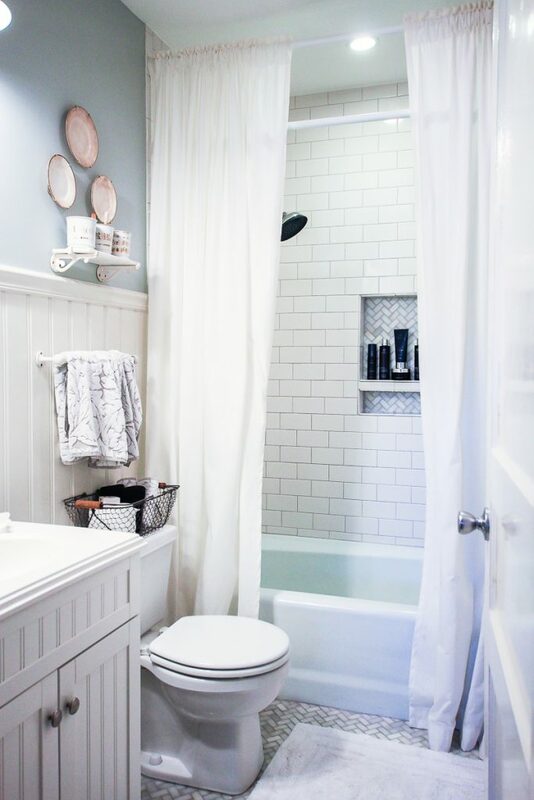 There was a half bath between the two smaller bedrooms as well as a laundry area. 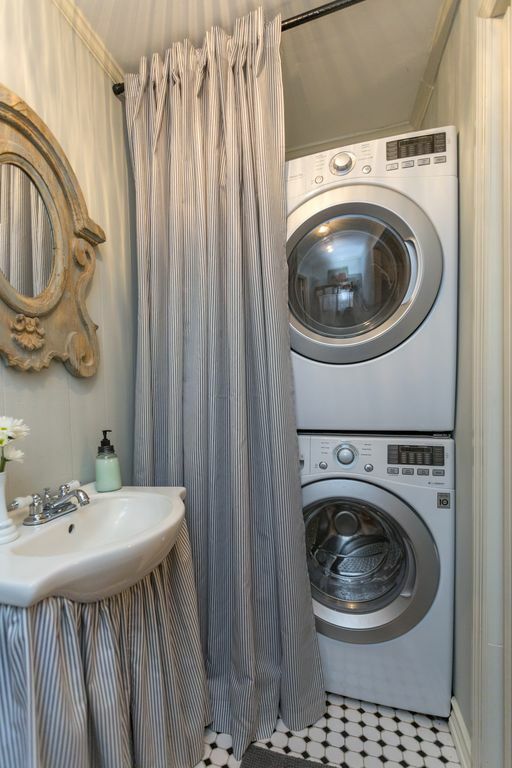 I was in love with the skirt around the pedestal sink. And the main bathroom was GORGEOUS!!! 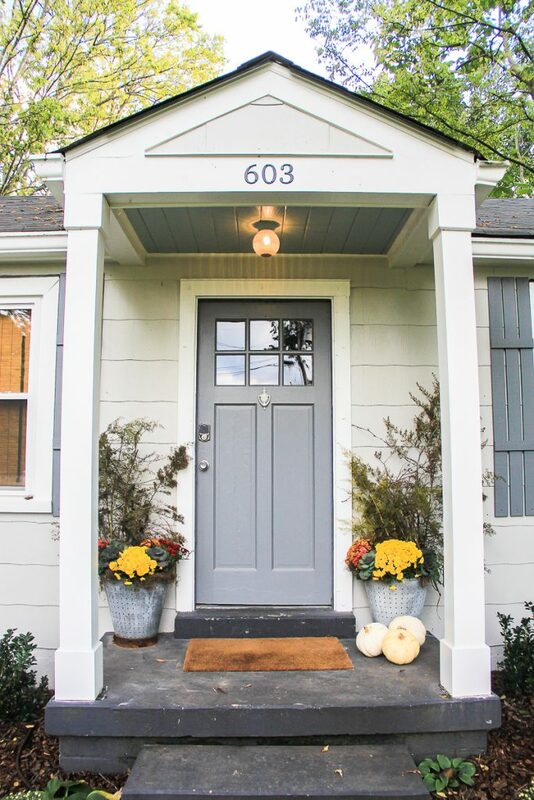 They did such a wonderful job renovating this cottage. I gotta give a quick shoutout to my new shampoo. I’ve been using these products for a week and pretty sure I’ve found the hair fountain of youth! My 40 year old postpartum hair seriously looks like it did when I was in HIGH SCHOOL. 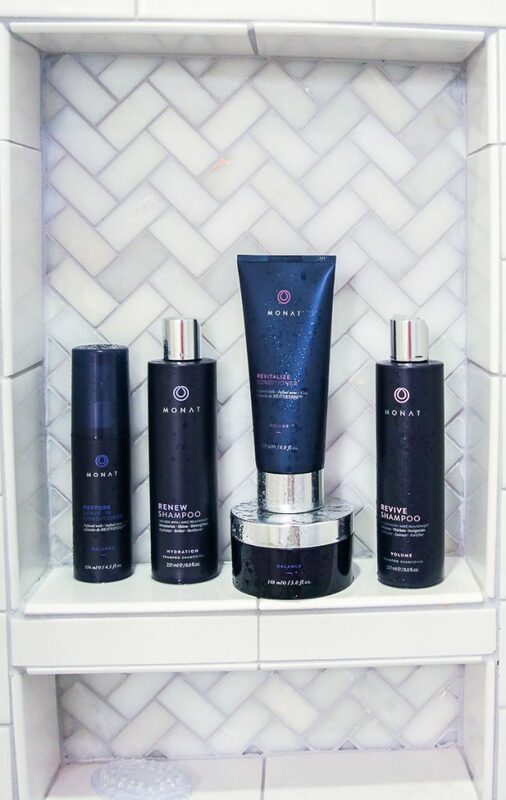 Monat makes it sooooo shiny! Here’s proof! Look at my hair, y’all It has not looked this good since the last Millenium! It totally wants to party like it’s 1999. Shameless plug: Y’all hit me up if you’re interested in learning more about my magical anti-aging hair care. It’s the best. 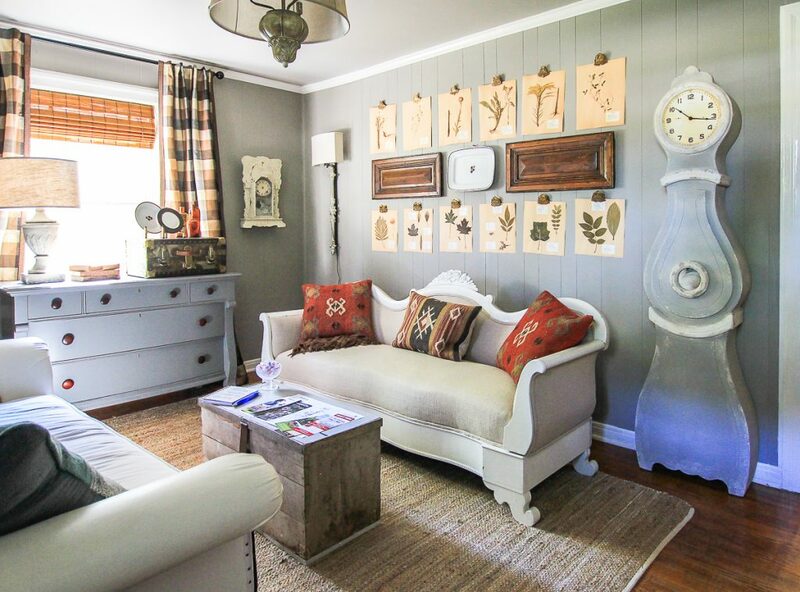 So there ya go… we absolutely LOVED staying in Scarlett’s beautiful cottage in Franklin. As for things to do and places to eat while staying in Franklin, don’t you worry. There is plenty to keep you occupied in this town. We spent a lot of time exploring downtown Franklin. We ate at Puckett’s Grocery about forty-leven times because the brisket taco salad is TO.DIE.FOR. We walked up Main Street and hit every shop along the way. Some of them were WAY out of my price range but they sure were pretty to look at. Maybe if I become a famous country music singer I could afford it. Til then…. window shopping it is. Her store is packed full of goodness and I wanted to buy every single thing I saw. Y’all go give her facebook page a like. We took a drive over to nearby Leiper’s Fork, where we pretended to be The Clampetts searching for black gold… Texas Tea. 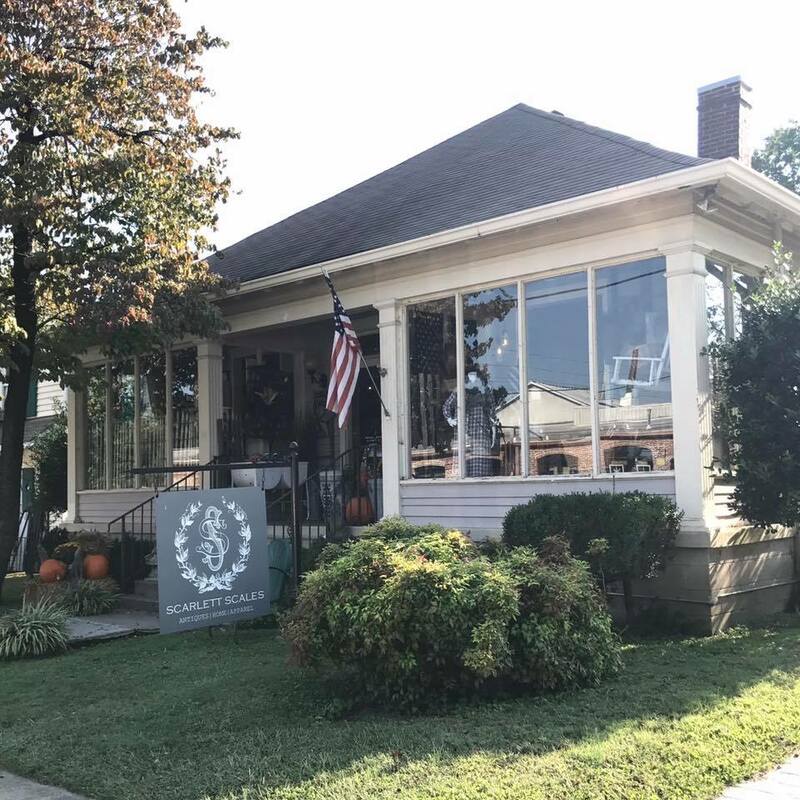 Seriously though, I love Leiper’s Fork. It’s the tiniest little map dot town but it is SO CUTE. 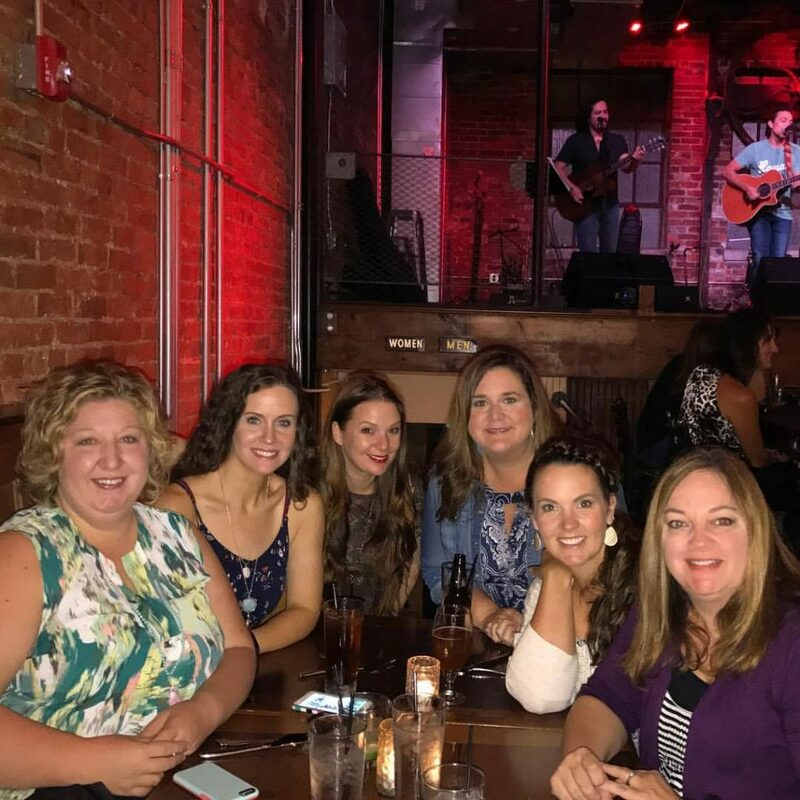 We went out to the bars in Nashville on Friday night and listened to live music at every bar we could squeeze into on Broadway. 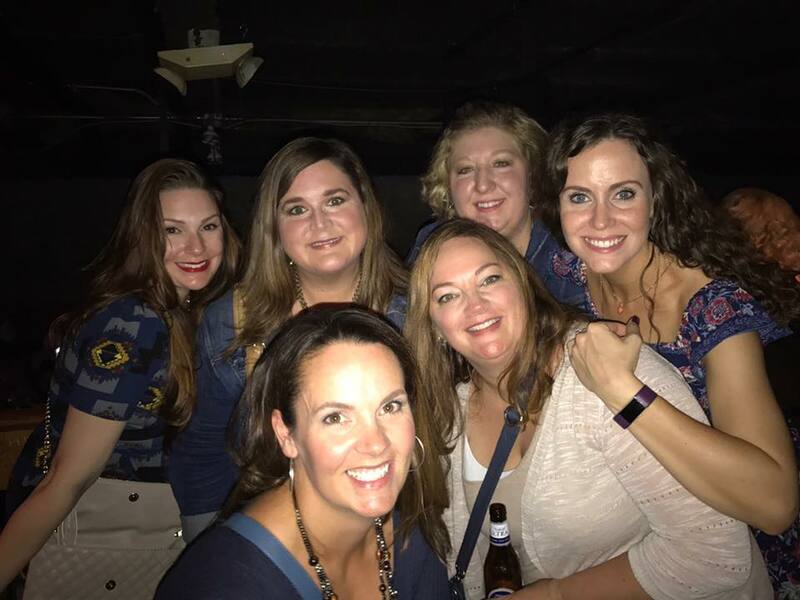 This trip was so much fun, and I’m so grateful to have the chance to spend my 40th birthday with my best friends in the entire world. I have spent the majority of my birthdays with these girls over the past decade. Our first get-together was in September of 2008, when Garrett was just a few months old. Next year we will celebrate ten years of traveling the country together! Here’s a timeline of our past get-togethers over the years that Dusty assembled for us. 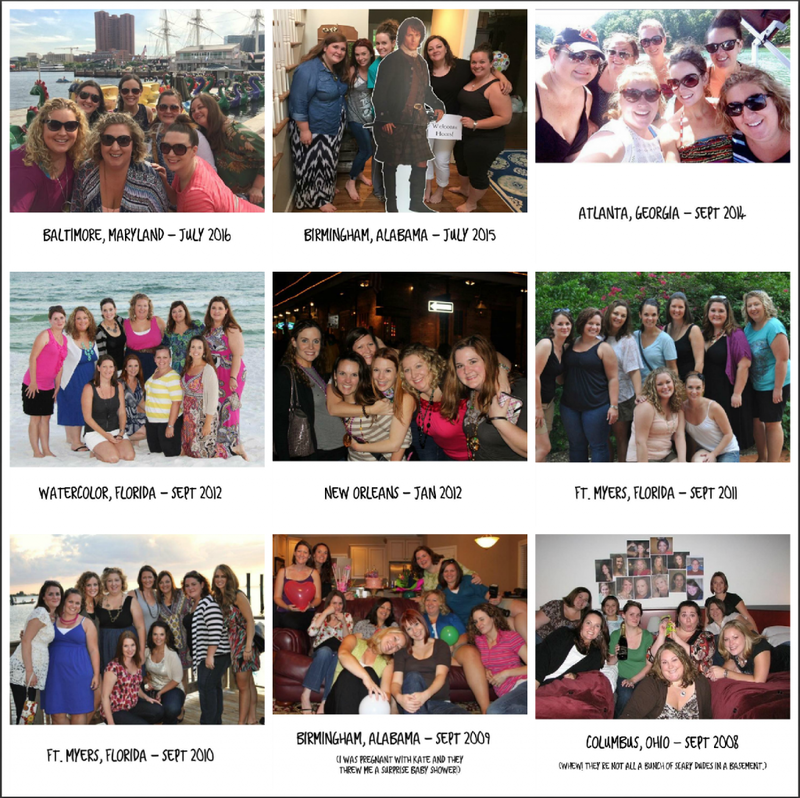 We’ve spent nearly a decade traveling around the country together visiting one another and going on girls’ trips together. I hope we have at least four more decades to go… I am blessed to call them my friends. Now we can add this pic to the collage and start planning for next year! 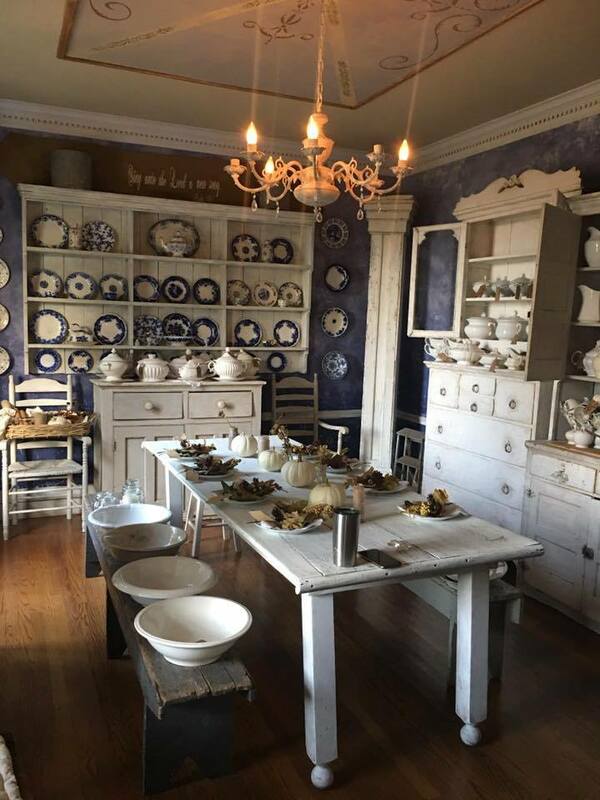 If you are searching for the perfect place to visit for a girl’s weekend getaway, definitely put Franklin, TN and Scarlett Scales cottage on your bucket list! 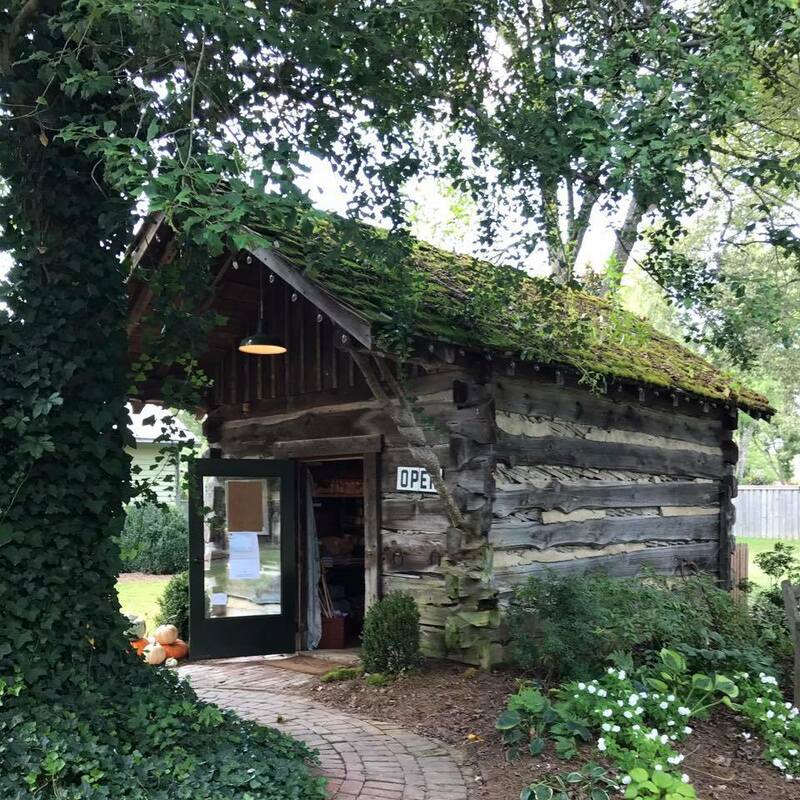 If you’d like to book a reservation, Scarlett Scales Cottage is available for rent through VRBO or AirBNB. You can follow Scarlett Scales Cottage on Facebook or Instagram. Thanks SO much to Scarlett for letting us stay in her beautiful cottage to celebrate my birthday. It was absolutely perfect. « Welcome Fall! Time to Decorate! How adorable is that place! It looks so cozy and I love the bedrooms! Happy 40th! How great is that! 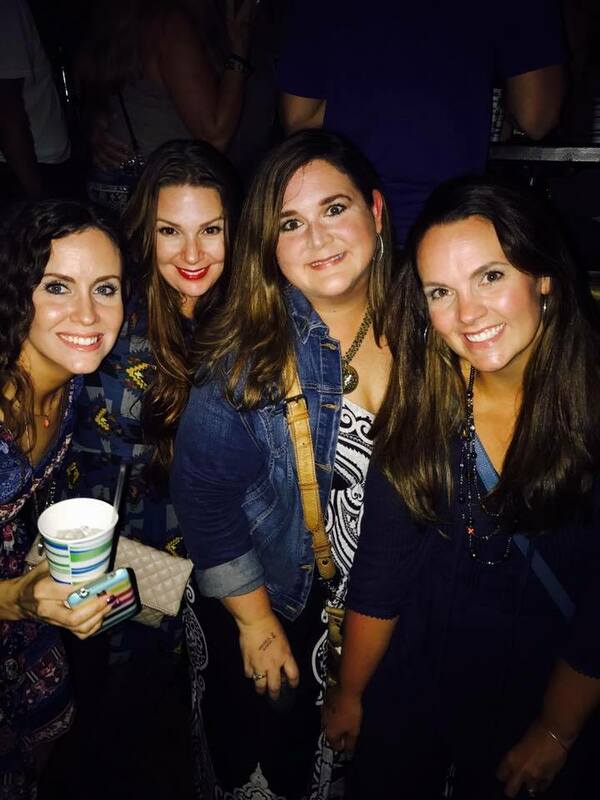 Happy you guys had a great time and you were able to spend it with special, beautiful friends! Again, Happy Birthday!! I wish I had the decorating gene. 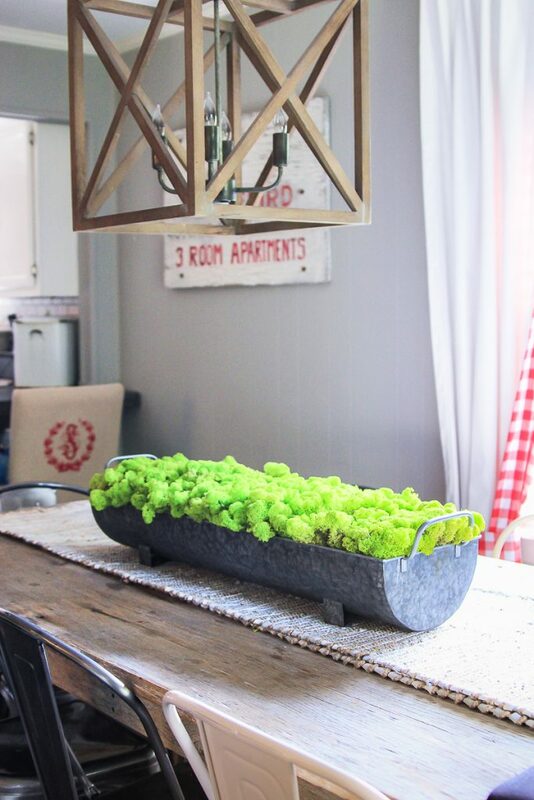 I love everything in that cottage! too cute! 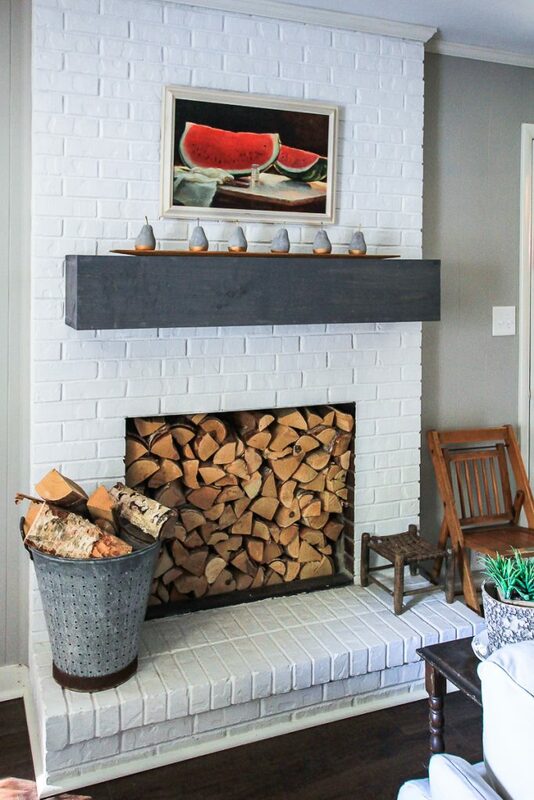 I love how rustic and cozy the house looks. Will make sure to stay on this place if I happen to be in Franklin. Great find at Airbnb. Thanks for sharing! It totally was! 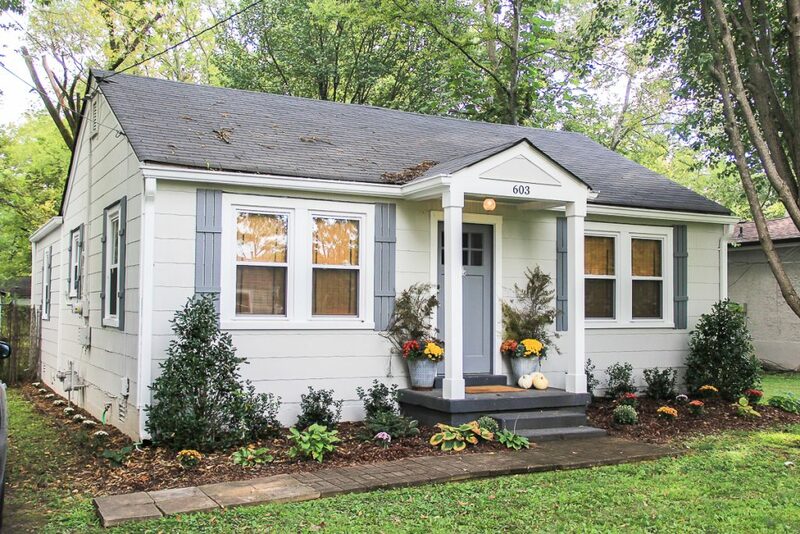 Highly recommend this cute little cottage!